Repurposing older structures is a tenet of historic preservation. Here the West Broadway Neighborhood Association practices what it preaches. 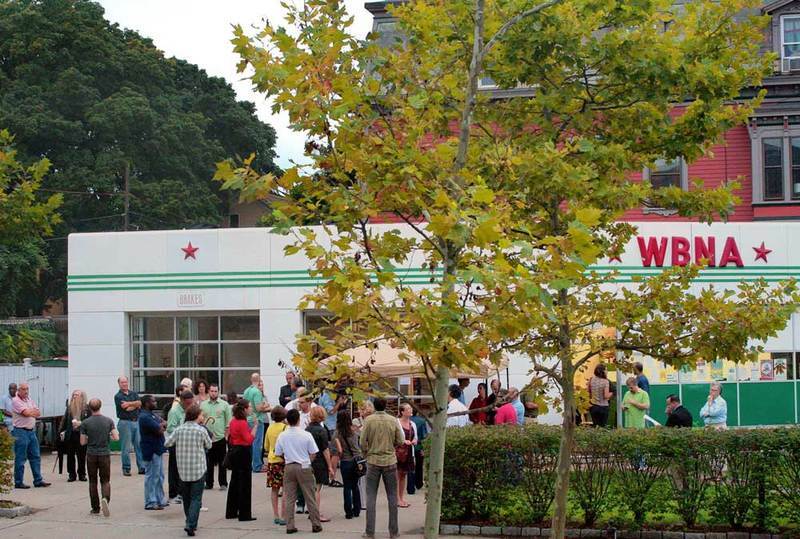 Since 1983, the WBNA has been one of the strongest and most active neighborhood associations in the city. This 1930s Art Moderne Texaco station is a classic Walter Dorwin Teague prefab design, but instead of pumping gas, this service station has become a fueling place for community. Don’t miss the gas pump out front. Once a grand avenue of wealthy mansions to rival Broadway, Westminster Street became a part of the Route 6 transcontinental highway, running from Provincetown, Massachusetts across the country to Long Beach, California. 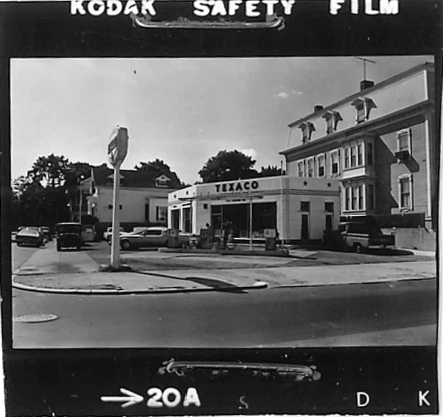 When the Interstate network was built, traffic was rerouted, and gas stations like this one had to look for a new purpose. Kari Lang has led the WBNA for twenty years and made the organization a model of engagement and community. Neighbors come here to find out about solar panel installation, home composting, community, politics, safety, and neighborhood events. 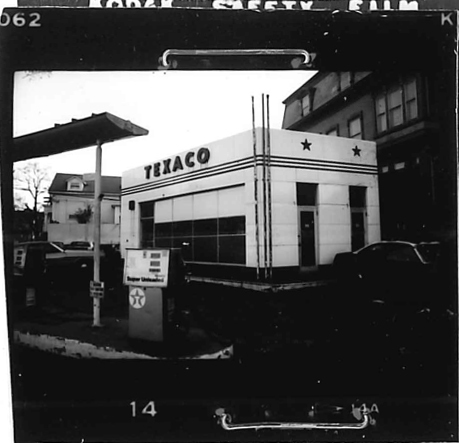 The Texaco Station on Westminster: The old Texaco gas station can be seen in this photo from 1973, a time when gas was still being pumped. Civic Engagement at The WBNA: The WBNA serves as a gathering place, demonstrated in this photo by members of the community who have come together to hear from local political candidates. Taylor M. Polites, “West Broadway Neighborhood Association,” Rhode Tour, accessed April 21, 2019, http://rhodetour.org/items/show/169.